INVESTMENT OPPORTUNITY! TRAIN LOVERS WELCOME! Well maintained 1961 Mobile Home with lots of charm. Two Bedroom with one bathroom. Front bedroom has separate outdoor entrance, could be used as an office. Within in walking distance of Churches, grocery store, restaurant, and gym. Located three blocks away from FOLKSTON'S FAMOUS TRAIN VIEWING PLATFORM, "THE FOLKSTON FUNNEL". 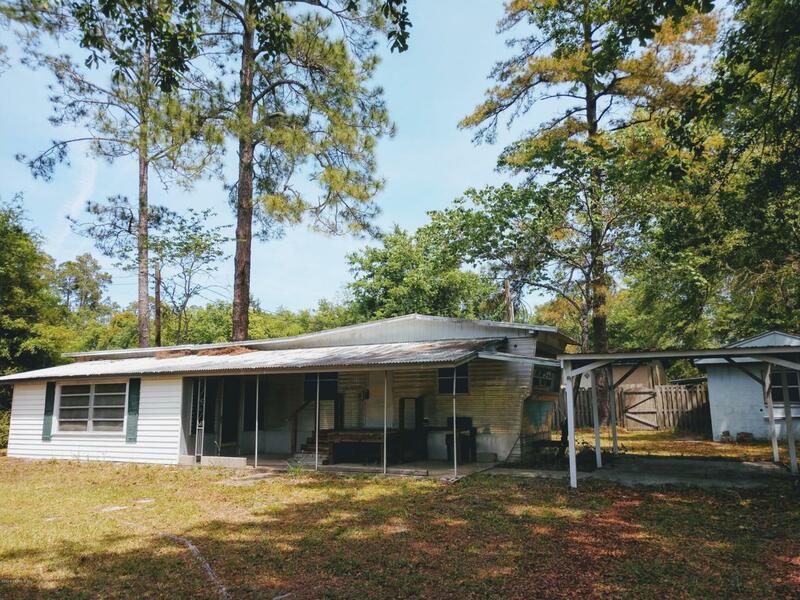 Lot size is .25 acres with single car carport. Partially fenced yard with two outdoor buildings. Mobile home sits on concrete pad. SOLD AS IS.